Depending on the cause, pelvic pain can be acute and sudden in onset, or the pain can be chronic and longstanding. The characteristics of the pain -- location, timing, duration, etc., are important in diagnosing its cause along with any associated symptoms such as vaginal discharge or bleeding. Some types of pelvic pain may only be apparent at certain times, such as during sexual activity or during urination. Persisting pelvic pain should be evaluated by a physician. Endometriosis is a common gynecological condition. 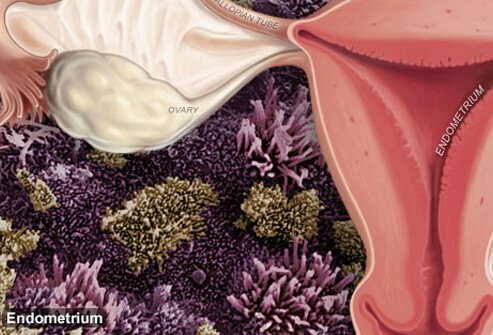 Take this quiz to learn what happens when a woman has endometriosis as well as causes, treatments, and risks. The Menopause Quiz challenges your knowledge about the time in a woman’s life when menstruation ceases. Menopause can bring many physical, mental and sexual challenges to maturing women, but they don’t have to be limiting. Take the Menopause Quiz to learn the causes, symptoms and treatments of what’s known as "the change of life."